The EX-MCUA series are specially designed for the harshest environments. Applications are off-shore platforms, ships, refineries in coastal areas and chemical plants. The EX-MCUA split systems are of the three way type: The compressor and evaporator are placed inside and the condenser is placed outside. The three way split system is a very cost effective solution for hazardous area zone 1 outdoor conditions. Copper tubing with copper fins prevents galvanic corrosion of the condenser. The outdoor unit casing is made of AISI316 stainless steel. 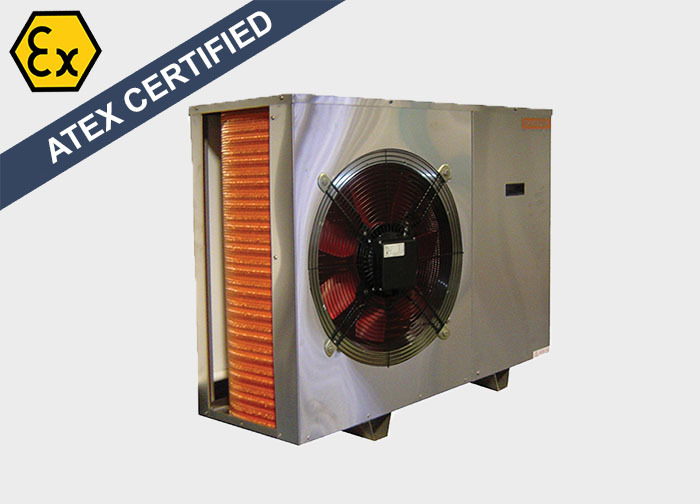 The explosion proof A/C system is suitable for extreme ambient temperatures up to 55°C. Power supply 3 phase no neutral is an electrical option. The system has full ATEX compliance and is suitable for ATEX zone 2 inside and ATEX zone 1 outside. 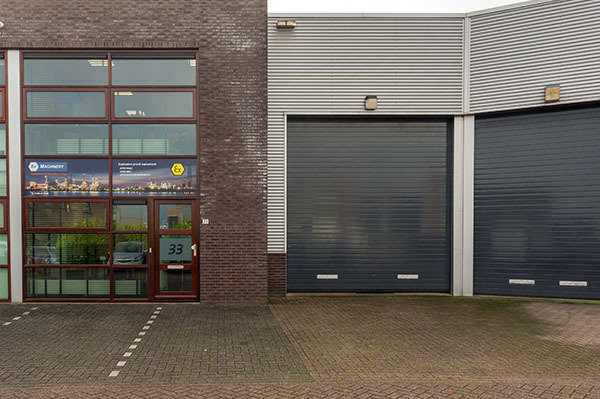 Indoor and or outdoor units can be delivered in ATEX version or standard version. Sets may consist of a combination of ATEX and non-ATEX units.